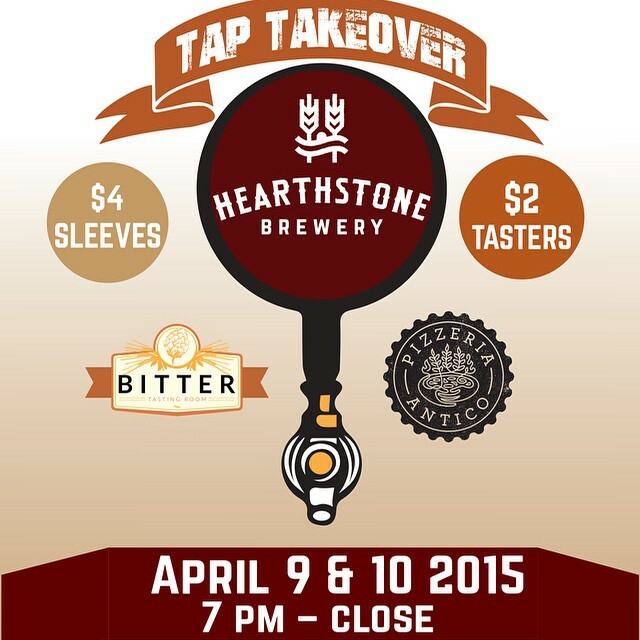 On April 9th, 2015 the new brewery in North Vancouver Hearthstone Brewery held a tap takeover at Bitter Tasting Room in Vancouver. 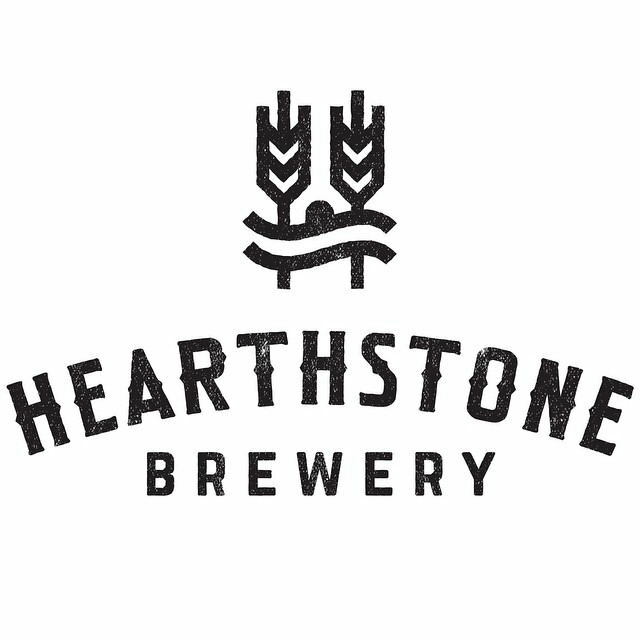 Hearthstone Brewery is located at the old Red Truck Beer location in North Vancouver and is in the process of building a tasting room although it is months away. Darren and George have a ton of beer ready to share though and have been sending it out to local pubs. Luckily for me Darren sent me an email letting me know about this tap takeover as it is so easy to miss events on social media and I really wanted to come out and try their beer. I had tried their milk stout right out of the tank on a visit to the brewery in November but it was really young (Click here to see that post). Although young it was promising and had me looking forward to trying some more of their creations. They really did not disappoint with this tap takeover either! On tap for their first Tap Takeover ever were 7 different beer. The beer included Bohemian Pils, Common Man, Azacca Pale Ale, American Pale Ale, Red Rye Ale, Chocolate Milk Stout and their Graham Cracker Ale. Every beer had great flavour and lots of depth but my favourite had to be the Graham Cracker Ale. The Graham Cracker Ale just had a huge depth with lots of caramel and almost a cognac finish and clocked in at 8% without being hot. I may have had more than one glass of this one. The Hearthstone Brewery head brewers Darren and George are a hoot and they had fun taking a shot for my blog post. You always have to pair great beer with great food so I would be wrong to not mention the food that we ordered to go with the beer. 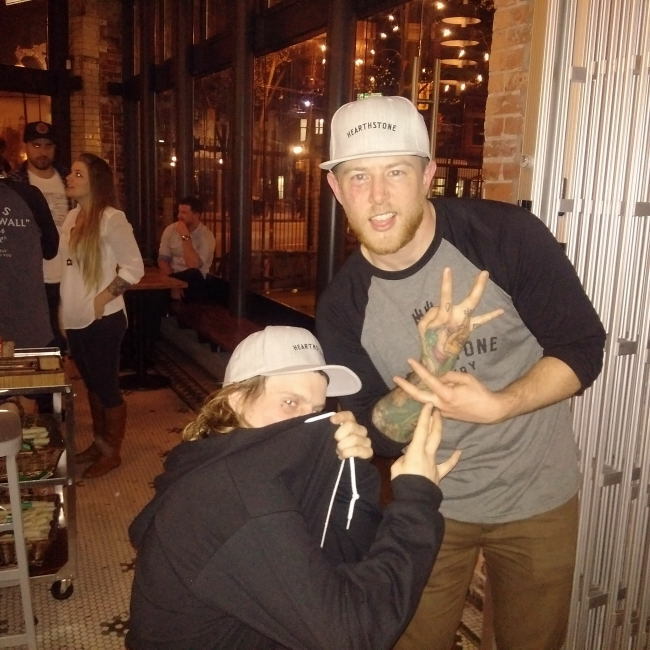 make sure to keep and eye out for Hearthstone Brewery beer! If you go to their website you can find out the locations that are currently pouring.